For the last 4 Sundays, we have been hiking pretty short and gentle tracks. None of our previous hikes exceed 5km. In fact, we have been building good momentum and stamina. We are hiking at a faster pace without any difficulty. It is time to test our limit. Perhaps a tougher and longer track. I decided to pick a rocky terrain for the family. 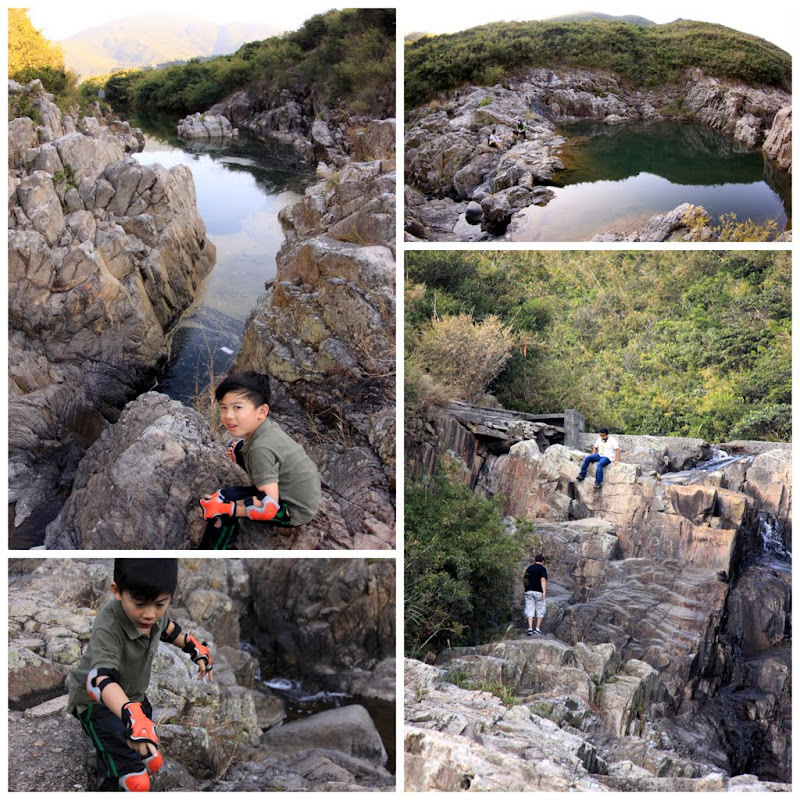 We headed off to explore the rocky Sheung Luk Stream today. This is a beautiful hike. 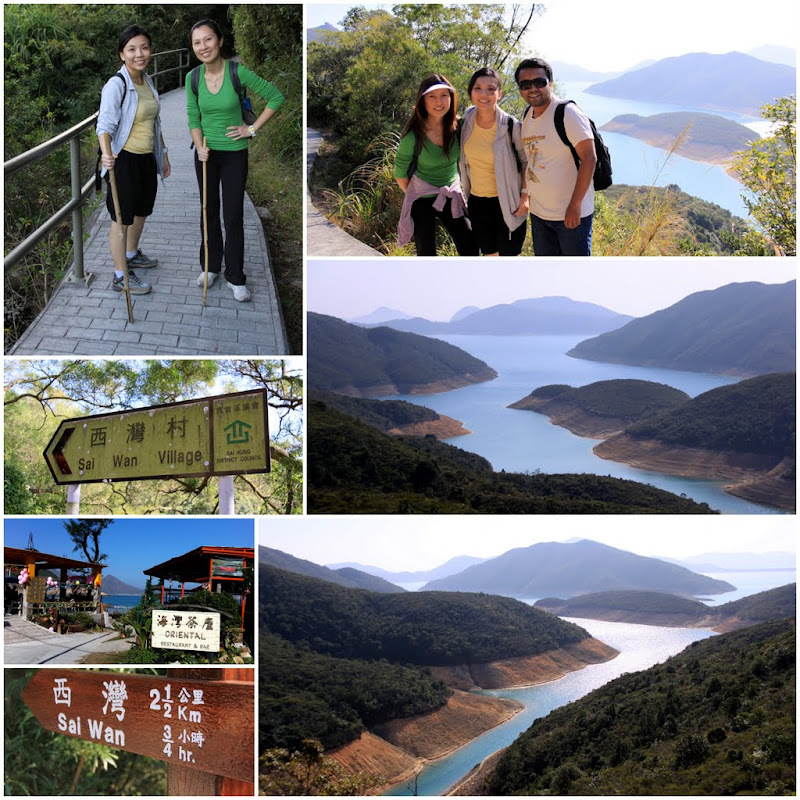 The mountain trail is well-paved and the scenery from the top is fantastic. 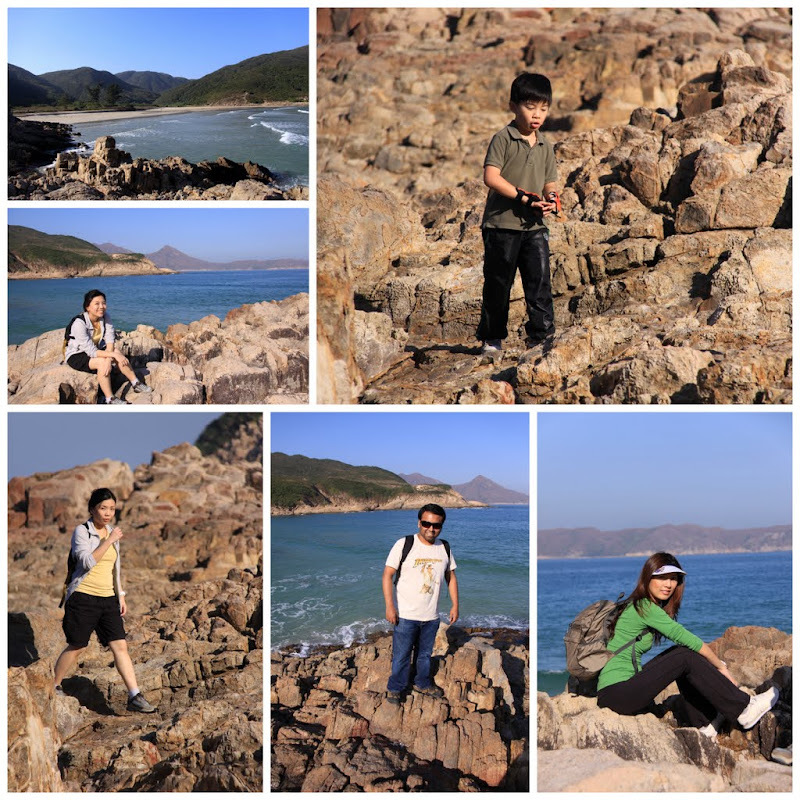 The Sai Wan Cove is great! Most of the popular Hong Kong beaches are dirty and have coarse sands which make it too painful to walk on barefoot. The water at Sai Wan Cove is clear and its sand is surprisingly white and powdery. This is a great place for beach activities. 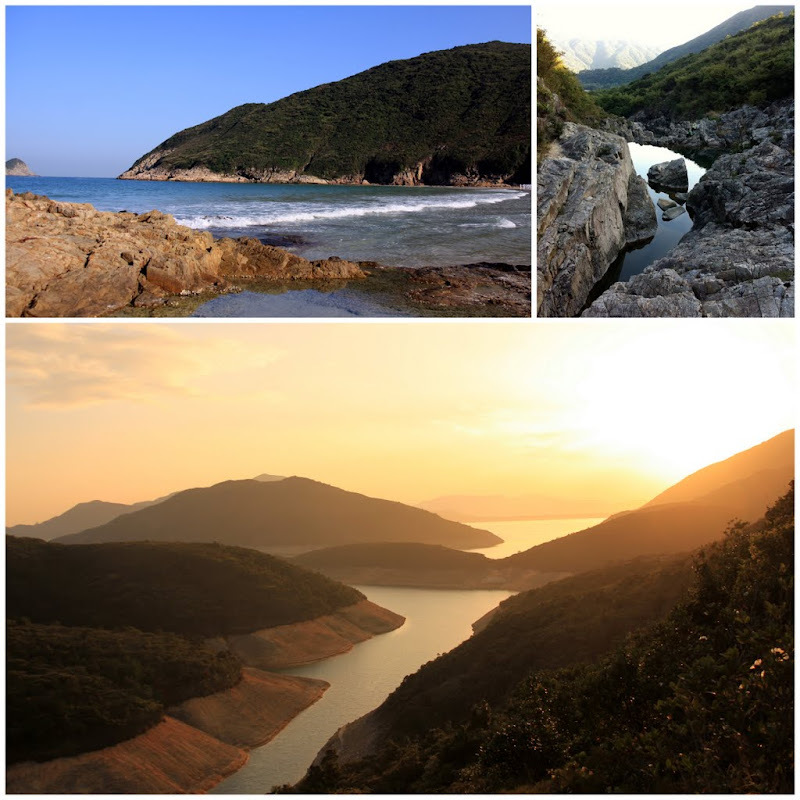 At the cove, we couldn’t find the trail leading to the Sheung Luk Stream. A kind farmer pointed us to the track and warned us about the rocky terrain. She saw Elkan and cautioned us about the dangers ahead. She was right. The terrain isn’t suitable for children. It is pretty steep and slippery at some spots. We had 2 minor casualties today. Elkan and Harshad slipped and had a nasty abrasion on the rocks. 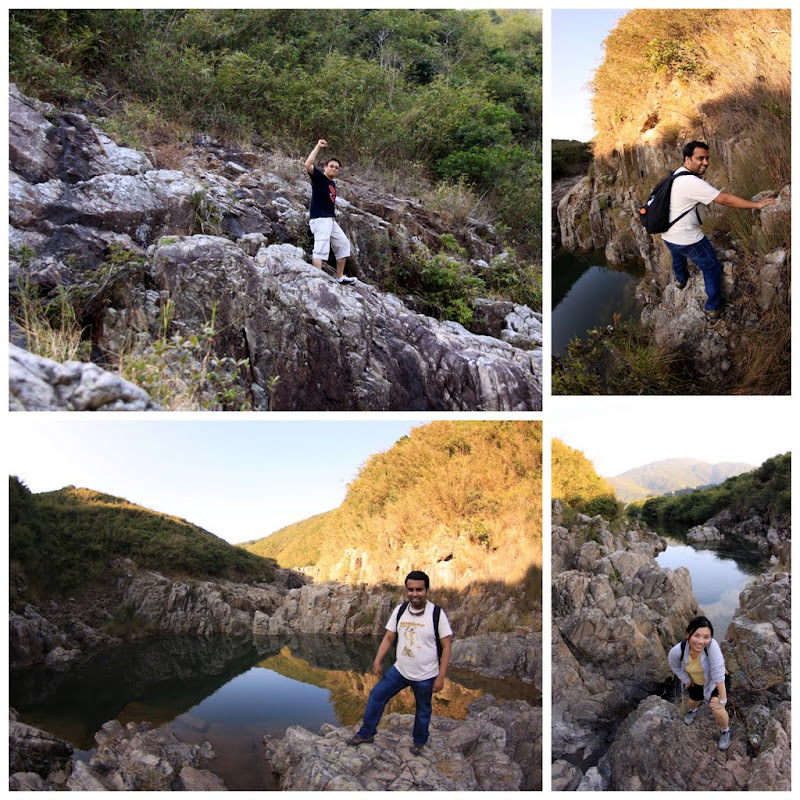 I had some difficulties climbing down slope – my Converse shoes aren’t made for rock-climbing. In the end, we left the ladies and boy behind and went on to explore the upper sections of the rocky stream. The rock pools are big and deep. This is the perfect place to dip (or skinny dip) during the hotter season. 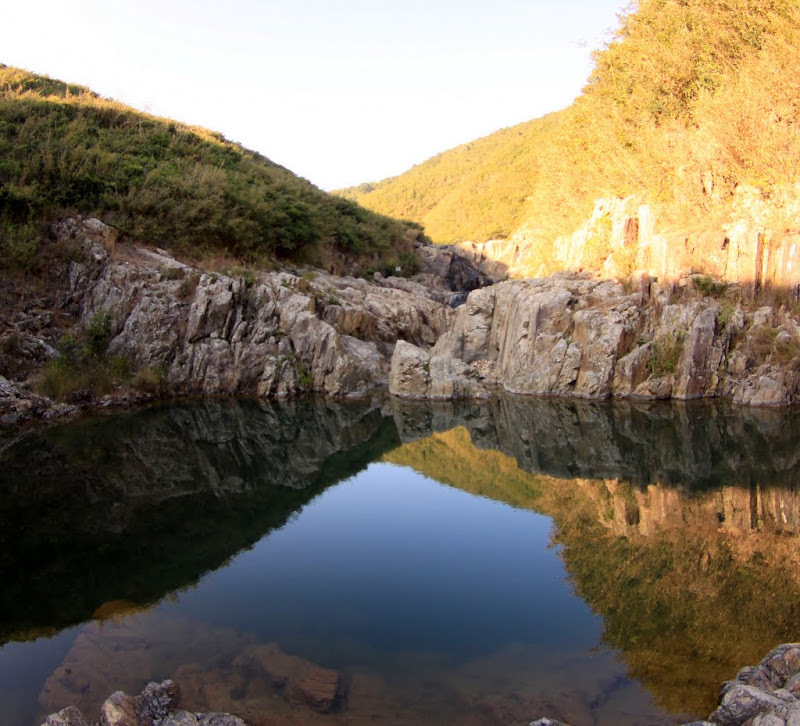 I can imagine the dare-devils doing cliff-diving down these water holes. It will be fun to come back during summer. Harshad and I didn’t manage to explore all the 7 sections of the stream. 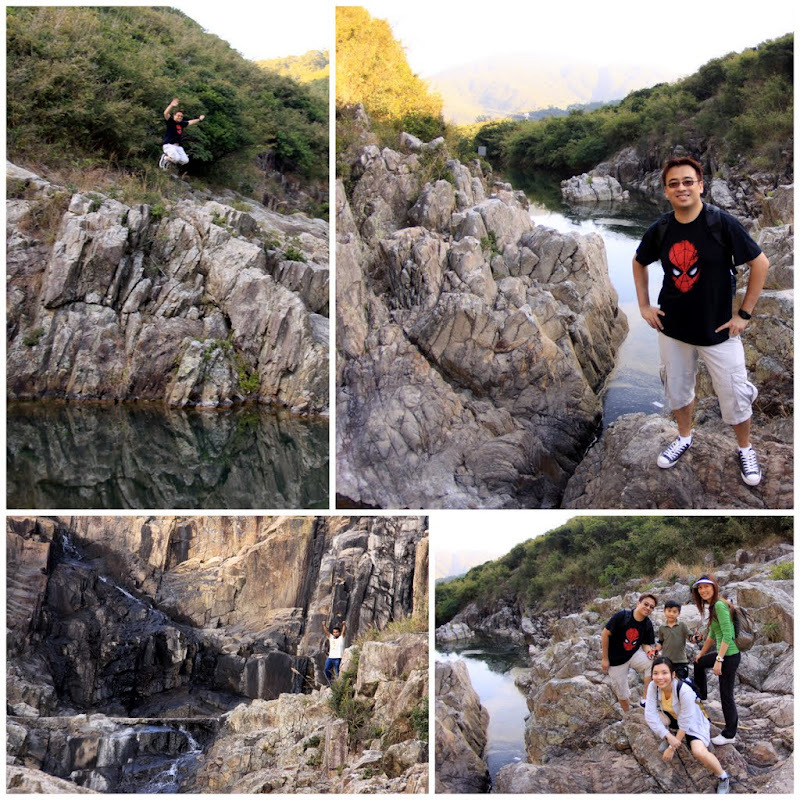 As it is the dry season now, we didn’t see any waterfall at the first 2 sections. The sun was also setting and we still have to hike 3km back to where we started. I must say – Our hikes are starting to get more interesting and strenuous. And yes, we crossed the 5km mark today. 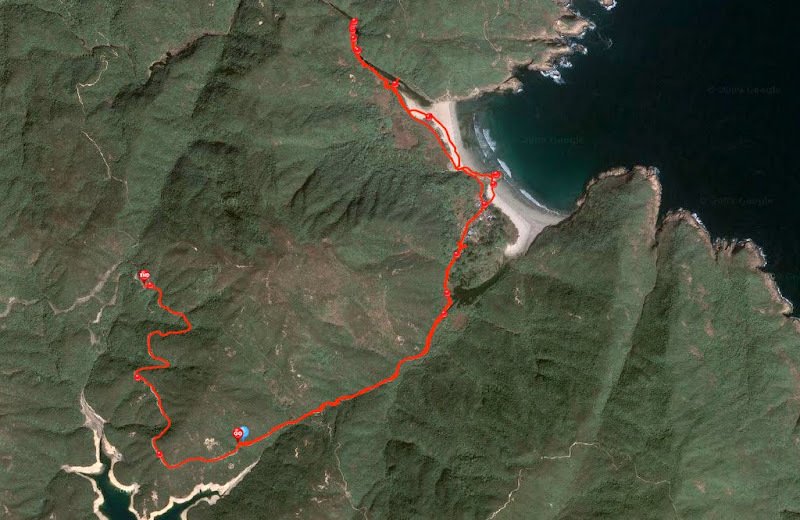 We hit 6.3km, up 167m and hardly breathless.